New planting of lawns: Apply ½” to 1” of compost with seed on new lawns. Lawn will grow faster than hydroseed with less finish leveling work required. Planting bed: Add in layers of compost about 2 inches thick in spring before planting. Rake or till into 4-6” of native soil. Vegetable garden: Spread 2 inches of compost across planting beds in early spring and again after harvest. As well, throw a handful of compost into planting holes at transplant time. Tree planting: Excavate a hole 2x as wide as root ball. Mix compost with the excavated soil at a ratio of one part original soil to one part compost. And these are just a few of the common ways. 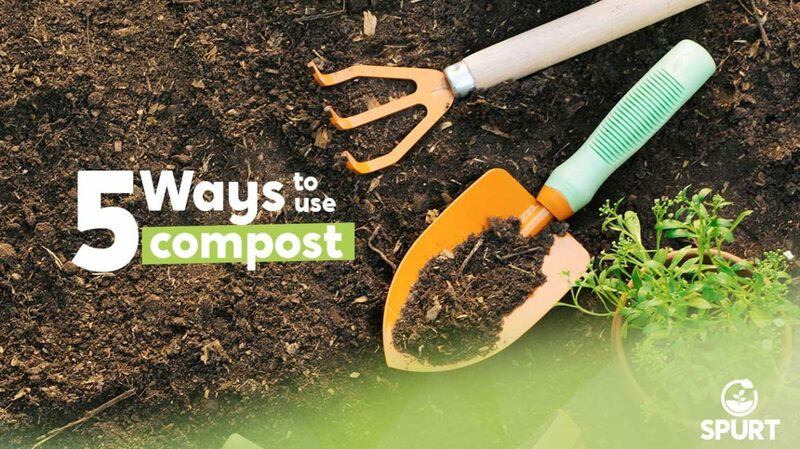 Compost is also used in bioswales, retention basins, as roofing material and many more ways. Just ask us!